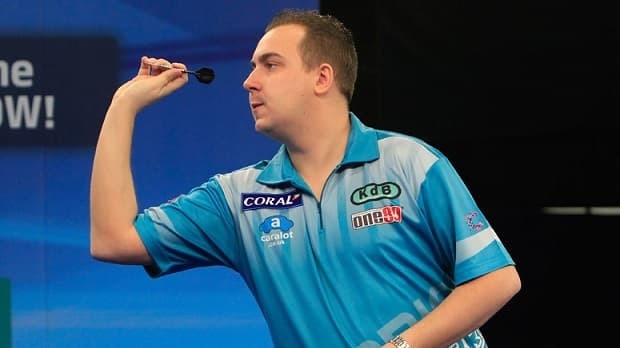 Kim Huybrechts has suffered three defeats and a draw in four matches so far in the Premier League, despite a series of good performances. He can gain compensation at a big price on Thursday night when he takes on current Premier League champion, Raymond van Barneveld. The Betway Premier League is now four weeks old, and the action on Thursday 5th March takes place at the Westpoint Arena in Exeter. Last week’s action at the Odyssey Arena in Belfast threw up some interesting results, with both van Gerwen and Taylor held to draws. We tipped Anderson and van Gerwen on the night, and although Anderson did the business by beating James Wade 7-4, van Gerwen let us down and ended up battling back from 5-2 down against Adrian Lewis to secure a 6-6 draw. Dave Chisnell continued his flying start to the season by beating Kim Huybrechts 7-4, Raymond van Barneveld scored his first victory of the season in a 7-4 win over Stephen Bunting, but Phil Taylor was held to a 6-6 draw by Peter Wright. There are some great fixtures this week, and while we fancy Taylor, Anderson and Lewis to get on the winning trail, the one that stands out is Huybrechts to beat van Barneveld. After four matches Huybrechts is second-bottom of the table, having drawn one game and lost his other three. He’s been up against some tough opponents though and has played reasonably well in each of those games, so he’s worth supporting at a decent price to turn over van Barneveld. Huybrechts had the hardest possible start to the Premier League season, facing van Gerwen on opening night and going down to a 7-3 loss. Night two was a slight disappointment as he succumbed 7-2 to James Wade, but night three was a much improved performance as he drew 6-6 with Adrian Lewis. Last week he threw an average of 107 against Dave Chisnell, but came up against a player in red hot form who hit all the finishes to win 7-4.
van Barneveld claimed his first win of the season last week with a 7-4 win over Stephen Bunting, but it was less than convincing. He led 4-0 and 5-1 before eventually winning, but Bunting missed a lot of doubles to give van Barneveld the chances which he duly took. The Dutchman only threw an average of 97 throughout the match, and although it’s all about hitting doubles, he won’t be offered as many opportunities by Huybrechts. Phil Taylor said he was annoyed with himself after last week’s performance in a 6-6 draw with Peter Wright, and he is worth backing to bounce back this week against James Wade. The latter has proven hard to beat this year so far, drawing with Chisnall and Bunting and beating Huybrechts before last week’s reverse against Gary Anderson. 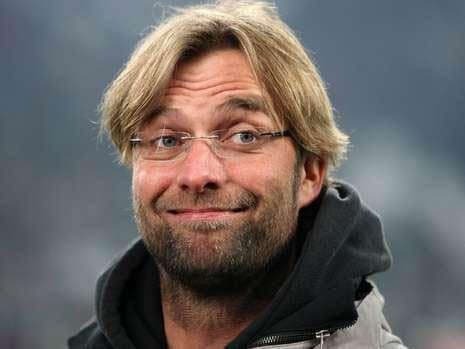 However, he’ll be up against it if Taylor brings his ‘A game’, and the multiple Premier League champion will be looking to get points on the board after a start which has already seen him lose one and draw one of his opening four games. Dave Chisnall’s excellent start to the season gives us an opportunity to back Gary Anderson at close to evens, and although Chisnall has won three and drawn one so far, there are reasons to believe he could come unstuck this week. He’s played some excellent darts over the first four weeks, but it has to be said that the fixtures have been relatively kind to him. He thrashed Peter Wright 7-1 on the opening night (Wright currently sits 3rd bottom of the table, without a win in 4 games), before beating a misfiring van Barneveld 7-5 on night two. He was held to a 6-6 draw by James Wade on night three, and last week defeated Huybrechts 7-4 in a very close match. This is the first time he’ll come up against one of the ‘big boys’, and he may be found wanting. World Champion Anderson has continued his fine form into the Premier League this season, starting off with a bang by beating Phil Taylor 7-5 on opening night. He followed that up by dismissing Peter Wright 7-1 in week two, before going down 7-4 to van Gerwen in week three. He bounced back last week with a 7-4 win over James Wade to make it three victories from four matches. Chisnall will have to be at his very best to take something from this game, and although he’s performed well so far this season, Anderson should just have too much quality when it matters. Stephen Bunting is rock bottom of the Premier League with 3 defeats and 1 draw from four games, and the lowest Leg difference of -13. Adrian Lewis showed signs of his best form last week when he held van Gerwen to a 6-6 draw, and he’s worth backing to come away with the points tonight. Lewis started the season well with a 7-1 win over van Barneveld, but then fell to a 7-2 defeat at the hands of Taylor in week two. There’s no disgrace in that result, and nor was there in the 6-6 draw with Kim Huybrechts the following week. Last week’s impressive draw with van Gerwen was another step in the right direction, and Lewis looks primed to go one better this week and get his second win on the scoreboard. Bunting has had a tough time of things so far, and it’s been three straight defeats since a draw with James Wade on night one. In fairness he lost to van Gerwen then Taylor in weeks two and three, but the defeat to van Barneveld last week was a poor result in light of the fact that he missed so many doubles.